Pinot Gris and Gewurztraminer often behave the same way in the Rangen, and very differently to the Riesling. 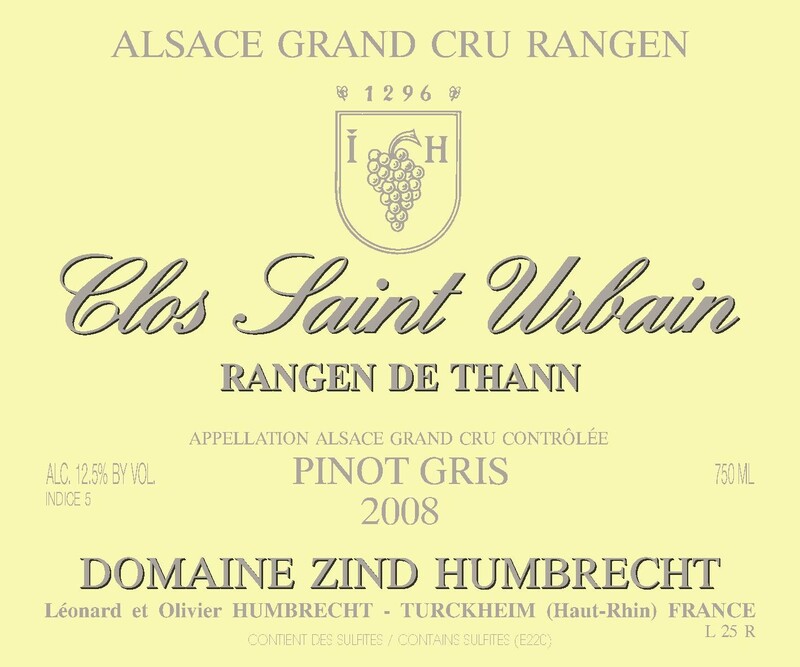 In 2008, the volcanic rocky soil of the Rangen produced some very high acid Pinot Gris and Gewurztraminer and allowed some noble rot to develop, especially in the bottom part of the Clos, the nearest to the river and its humidity influence. The fermentation is usually fast in the Rangen wines, but in 2008 it took some time (6 months) and was very lazy, keeping a higher amount of sweetness, certainly because of the very high acidity in the grapes. 2008 was a very balanced vintage in the Rangen, allowing the soils to be green in summer because there was enough water and with less stress and a nice late season, the grapes retained a lot of amazing acid structure. 2/2010: the nose burst of smoky and flinty flavours in a very tight almost austere style. It is obvious that the vineyard dominates the wine and time is needed to allow all the potential of the wine to come out. The palate is tight, crisp in a very elegant structure. Today, this wine is constructed on a low alcohol, delicate structure and high acidity balance. Maybe the indice 5 is exaggerated because the sweetness is in fact discreet. This is a very different Rangen to the previous vintages.